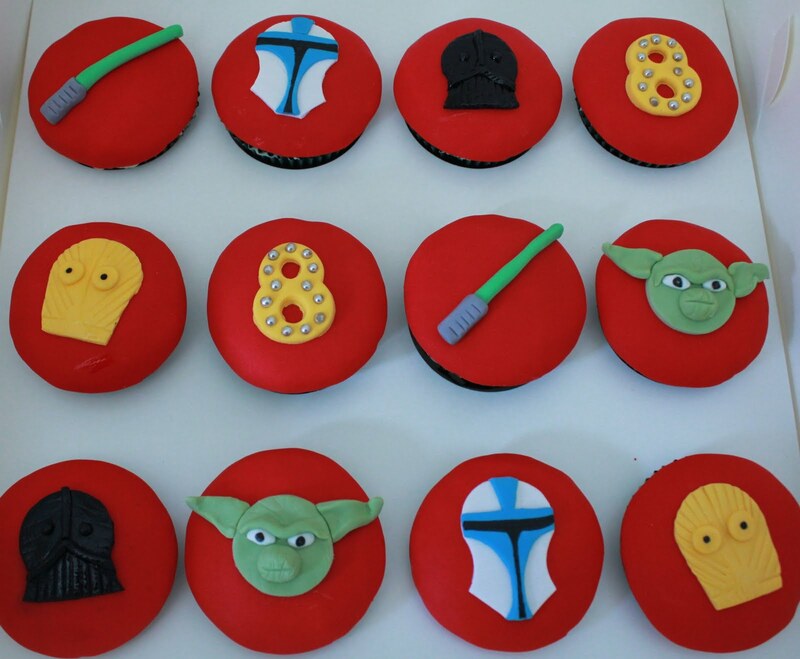 Madi's twin brother Thomas also had his birthday party over the weekend at Laser Skirmish. Thomas and Liam are best buddies, so Liam was as happy as a pig in mud at the party with his buddies. 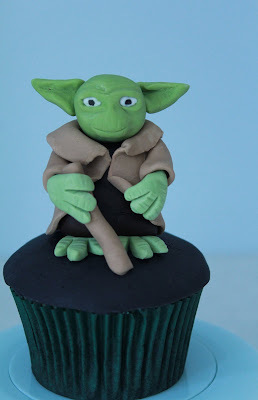 Thomas loves all things Star Wars, so a dozen cupcakes were ordered for the guests to demolish and I made a special Yoda cupcake just for Thomas. While Madi loves chocolate, Thomas is a vanilla man! Cupcakes were all vanilla.